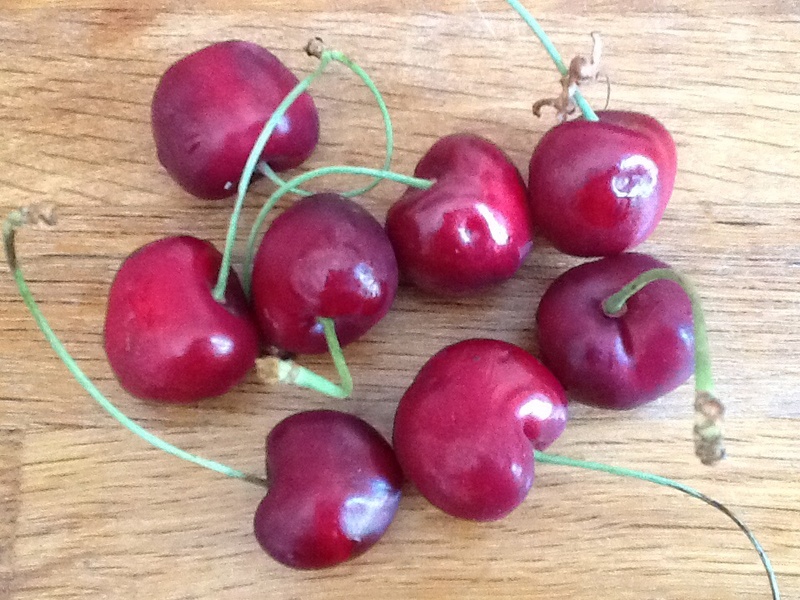 Summer has arrived, and I had leftover cherries after making spicy cherry jam for cheese. 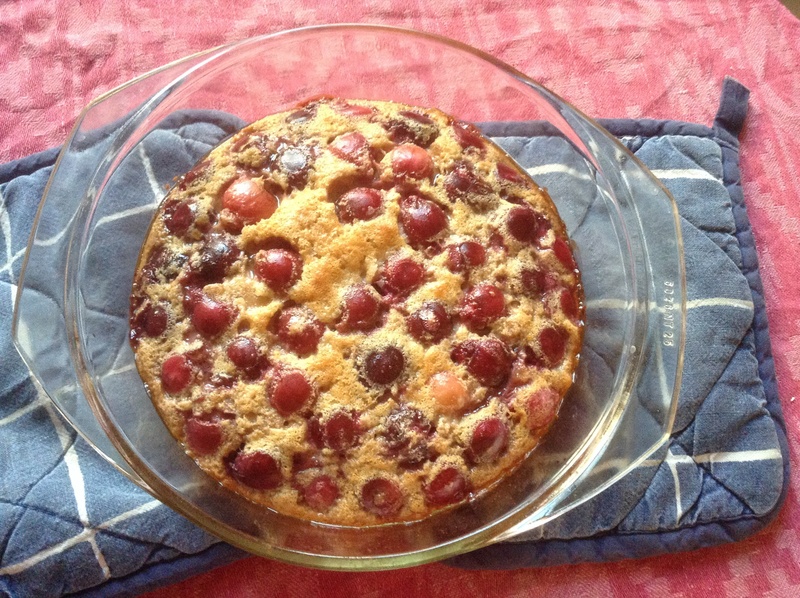 Clearly time for clafoutis again! 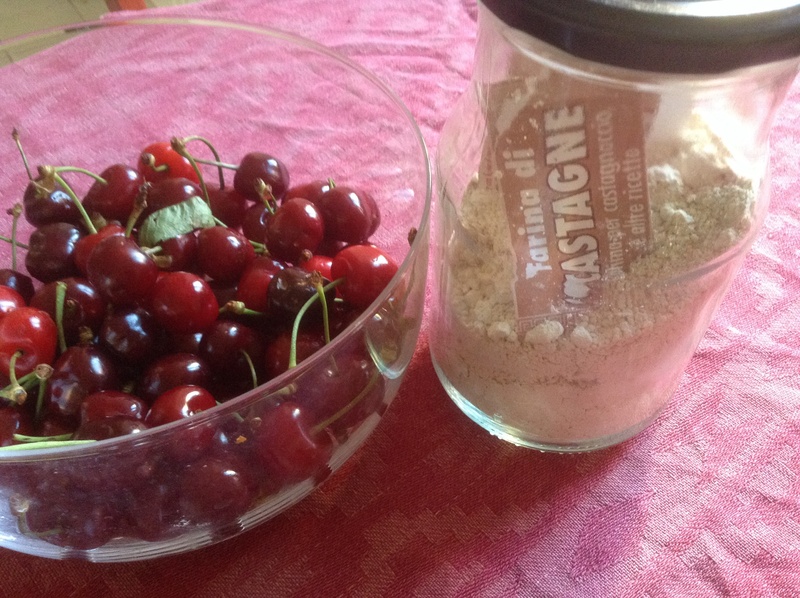 I also had some chestnut flour, and thought it might work well with the cherries. 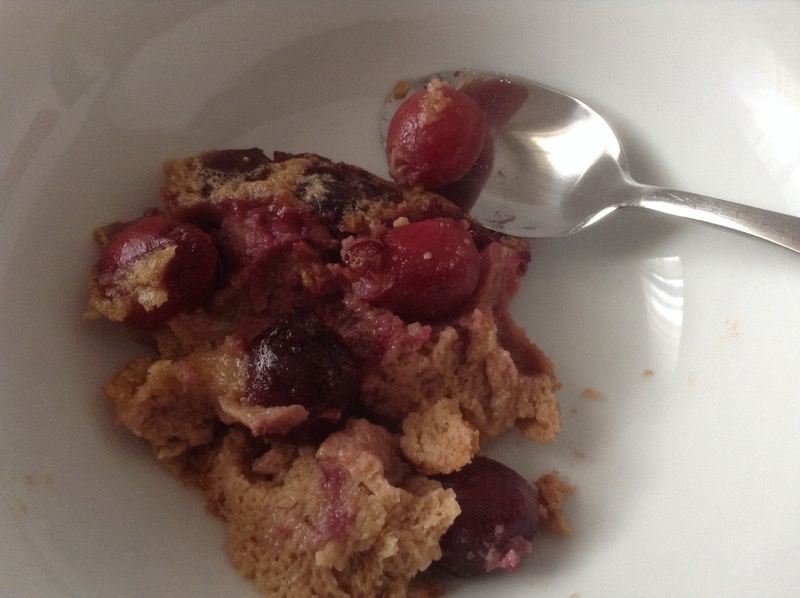 There was a gorgeous cherry clafoutis with chestnut flour on Chocolate & Zucchini, but I confess, I could not be bothered to whip eggwhites…. And I had no yoghurt in the fridge…. So I pulled out my Apricot clafoutis recipe from last year, and chanced it. 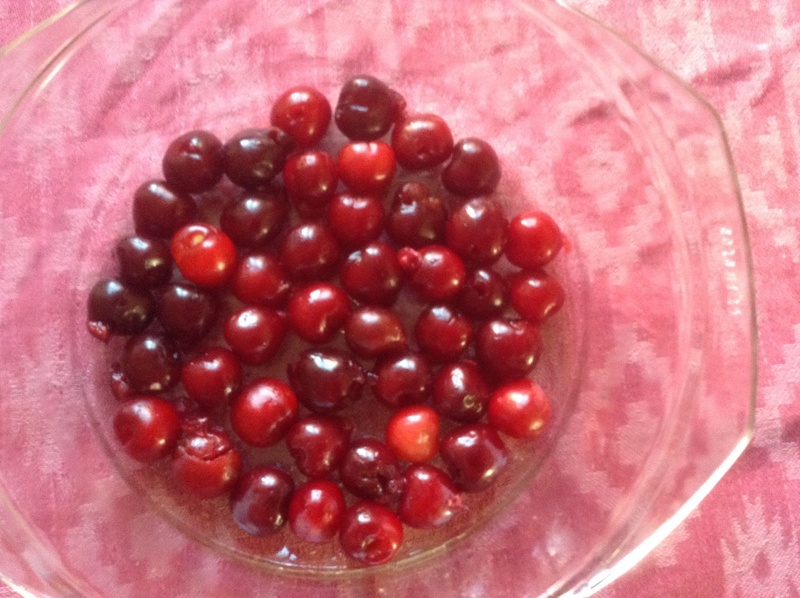 Are those cherries not gorgeous? Preheat the oven to 180C and butter your dish. Layer the apricots in with the cut side up, and pour over a splash of Amaretto, if you like that. Just enough for a little on each apricot half. Whisk together all the other ingredients to a smooth batter, and pour it over the apricots. Bake until the clafoutis is golden and puffed up. Sprinkle with icing sugar, and eat warm or cold. Notes: I used less sugar than last time with apricots, and a little more butter. 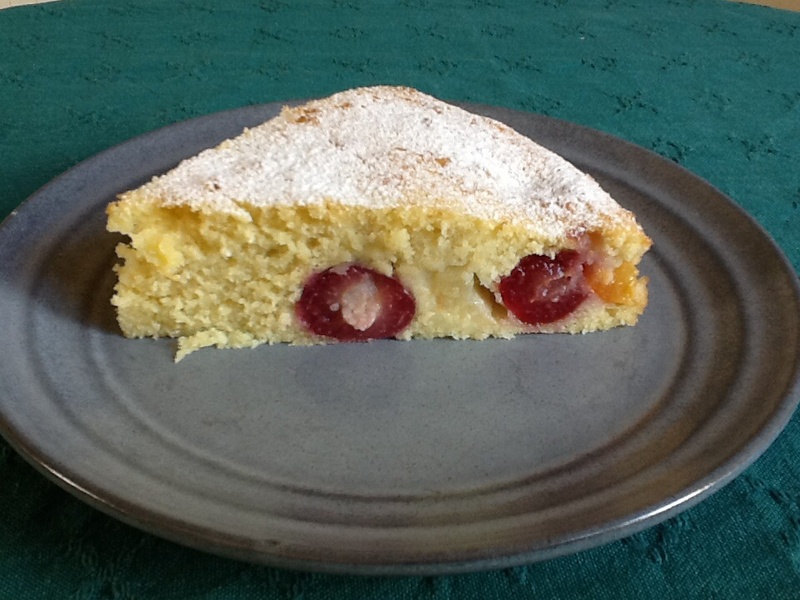 It was still sweet from the cherries and very rich, that must be the chestnut flour. It is quite low fat as a flour, but does not taste that way. 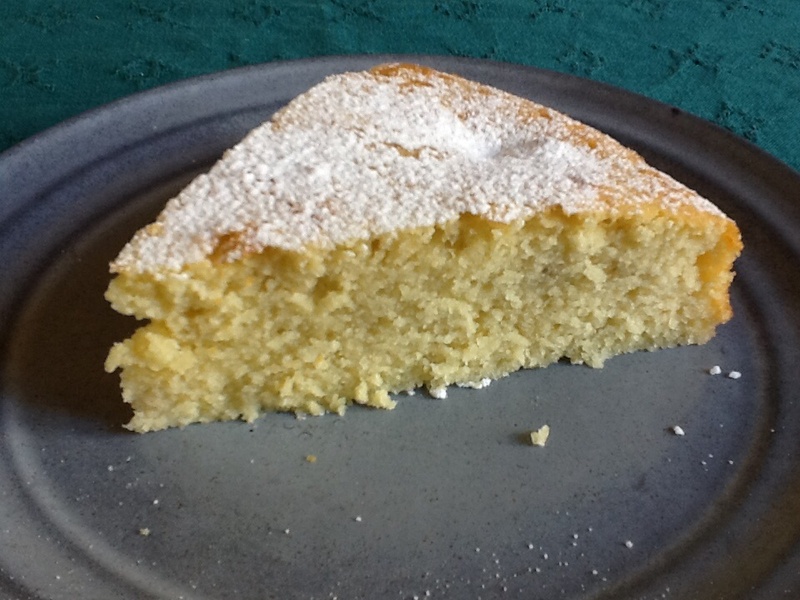 I might mix a little plain flour in next time, or whisk the eggwhites for more air. There was just enough for a little leftovers the next day, good flavour. Fun to try different flours! 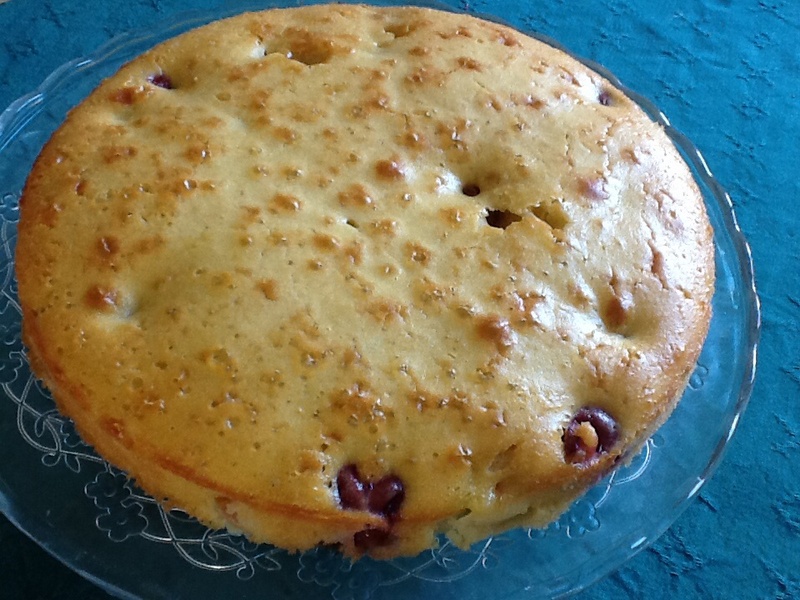 This entry was posted in food, fruit and tagged cherries, chestnut flour, clafoutis, dessert, gluten free on May 30, 2014 by krumkaker.